Agricultural wastes are the excesses and the residues generated from diverse agricultural activities such as farm operation, planting and harvesting of field crops, food processing, dairy and animal husbandry. The wastes are available in the form of wheat straw, paddy animals waste. Intensive cropping, use of high analysis fertilisers and improved management practices have not only resulted in increased crop production but also increased generation of crop residues and the allied wastes. This article deals with the availability and usage of crop residues and their effects on soil properties and crop yields along with different plant products. The practice of compositing and vermin compositing as a route for recycling a variety of wastes in agriculture has been dealt. Crop residues are the part of the plants left in the field after crops have been harvested, threshed, pruned or processed. Though they have been regarded as waste materials that require disposal but it is now increasingly being realized that these are a tremendous natural resources and not a waste. Proper use of crop residue provides a highly effective means for controlling soil erosion and sediment transport, reducing nutrient losses through runoff to streams and supplying organic matter to maintain good soil tilth. When incorporated into the soil or placed on its surface, crop residues and the resulting soil humus, improves infiltration rates, reduce soil crusting, enhance soil aggregation, and increases the soil water holding power. It may be said that we need a residue management system, which will be ecologically favourable, economically profitable, environment friendly, holistic and resource efficient. The crop residue returns to the soil can potentially supply a substantial portion of the nutrient requirements for the succeeding crops. Besides, crop residues offer many benefits to soil fertility productivity. Freshly added crop residues play a significant role in improving the physical condition of soil, making it more favourable for optimum plant growth. The observed beneficial effects of residues incorporated may, therefore, be attributed mainly to improvements in the overall physical, chemical and biological properties of soils. The process of nitrogen immobilization has great practical significance in the management of crop residues in cropping systems. Therefore, sufficient time should be allowed for the decomposition of residues before the crop is sown. Sediments from erosion is our nation’s greatest water pollutant. 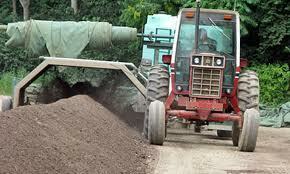 Returning crop residues to the land as surface mulch is a very effective and economical practice for reducing runoff, wind and water erosion, and water transport of sediments to streams. Soil organic matter is critical component of the soil and serves many purposes. Soil organic matter contributes to the soil structure stability and resistance to erosion. It is a storehouse of food for soil microbes. For low organic matter soils, retaining crop residues is very important to maintain sufficient soil organic matter. 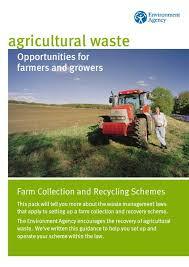 It is generally agreed that crop residues returned to the land produces beneficial effect. However, problems crop up where crop residues are excessive and they are applied at loading rates that exceed the soil’s capacity to decompose them within a reasonable time. The presence of excessive amount of residues, particularly of surface residues, can also cause physical obstructions that interfere with normal tilling and planting operations. This can often result in poor seed germination, stand reduction, immobilization of nitrogen in a form unavailable to plants and weed problems. In general, the residue incorporation may bring about an overall improvement in physical, chemical and biological properties of the soils. Many short term and long term experiments in India and elsewhere have shown mixed effects of crop residues incorporation on crop yields. The higher level of crop production through the increased use of fertilizers and pesticides has created ecological imbalance and affected sustainability of crop production. It is become imperative to adopt appropriate blend of the traditional agriculture practices of the pre-green revolution era and the modern technology to restore soil fertility and sustain productivity. There are two major competitive uses for crop residues, i.e, animal feed and energy source. Animal feed with crop residues have considerable potential as feed for livestock and provide a portion of the roughage requirements of ruminants and horses. The nutritional value of the different types of crop residues varies widely. Energy source crop residues are used as an energy source for agriculture and industries. Technologies to convert crop residue into energy falls into biological and thermo-chemical. Biological processes like anaerobic digestion and alcoholic fermentation, involve enzymatic break down of biomass by micro-organisms at low pressure and low temperature. The utilization of agro-residues for the production of ethanol, the bio-fuel has been considered as a source to meet the partial energy demand. Thermo chemical processes use high temperatures to convert residues into energy by direct combustion, pyrolysis, gasification and liquefaction. Crop residues are now being used as raw materials in various chemical industries. The cost of collection, transportation and application of crop residues are minimal or zero when crop residues are returned to the land on which they are produced. Since crop residues are such a rich source of nutrients, fodder and fuel, we should ensure that these are judiciously recycled and reused. Composting and vermin composting of these wastes gives a good solution as a waste disposal method, besides increasing the availability of plant nutrients, destruction of pathogens, elimination of unfavourable odours and easy handling. 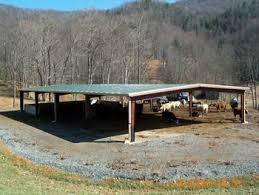 Vermi-compositing is an efficient and inexpensive method of composting. The castings excreted by earthworms are rich source of available minerals and humus. They have the potential to raise the soil productivity by improving the physical, chemical and biological properties of soil, thereby improving the plant growth. In the days of increasing fertilizer price and in view of necessity to improve the yield of rain fed agriculture, it is imperative to look for these agriculture wastes recycling by composting. In rural development, there is an urgent need of fuel with higher thermal efficiency from the non commercial local sources with lower thermal efficiency. Recycling of animal waste through biomethanation is one such source, which deserves serious attention. This technology adaptable on a small scale is labour intensive, needs little skilled labour and uses locally available residues such as animal dung and crop residues. The technology provides an easy way of producing fuel gas known as biogas by anaerobic fermentation of wet dung and rich manure from the residual matter. The gas is a source of energy for lighting, cooking and operating engines, the residual slurry provides energy and nutrients for agriculture production.